Bundesliga | Bayern Munich vs. Mainz - As it happened! Bayern Munich vs. Mainz - As it happened! 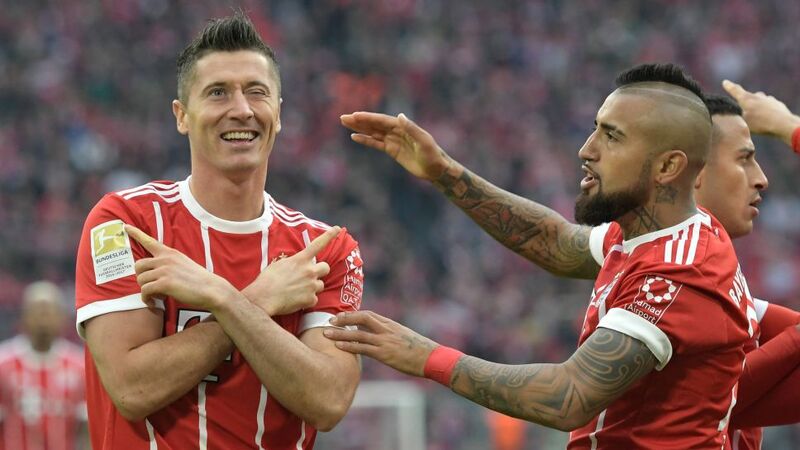 Bayern Munich's star striker Robert Lewandowski celebrated his 100th Bundesliga appearance in a Bayern shirt with a brace in a swashbuckling 4-0 win over Mainz at the Allianz Arena. Click here for the Bayern vs. Mainz Match Centre!